What Time is It? More Like, What Time Zone Is It! 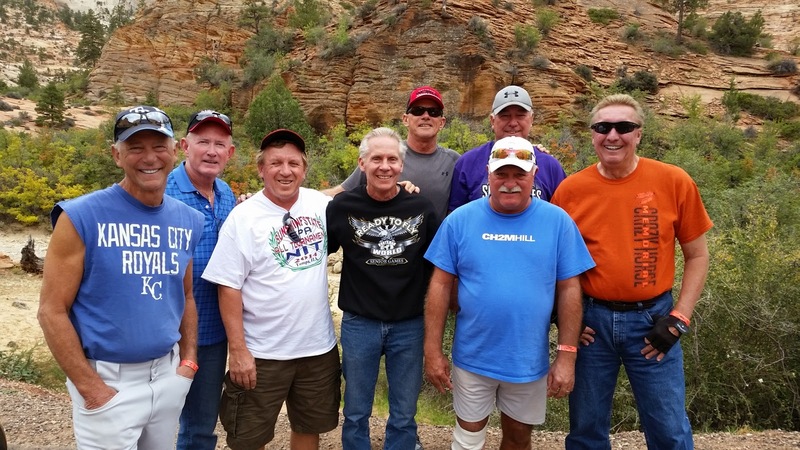 On Friday 10/10 my buddies and I finished up our games in St George Utah. Shout out to Mello Financial & Don Bobish for all the work they put into supporting our softball team. It was really good to see my buddies from our Cardiac Kids softball team again. Early Saturday morning Joan & I packed up the MH and headed south from Utah towards Boulder City, NV where Joan and I will be spending the winter volunteering at Lake Mead National Recreation Area. It's a relatively short drive, just a couple of hours and we had a lot to accomplish in just one day because we were flying to Florida on Sunday. We needed to get to the volunteer campground and get the MH set up; stop by the post office before it closed at noon to pick up some parts for the motorcycle that had been delivered; try to get the car cleaned up and organized as we were loaning it to our boss at Lake Mead in exchange for him dropping us off at the airport and saving us a couple $'s in parking fees; pack for a 10-day stay in Florida. Oh yeah, that reminds me.....I need to do an online check in with Southwest to try and get a decent boarding pass. Our flight was for 10am Sunday, so I had an alarm set for 9:55am Saturday. Just as I was driving thru downtown Las Vegas on I-515 my alarm went off. I pulled over, pulled out my phone and pulled up the Southwest website. I hit the Online Check in link and got......an error message....Oops! You're too early! No I'm not. It's 10:01am. Try again.....Oops! You're too early! what's going on? Maybe it's my phone. OK, quick....boot up the PC.....launch the hot spot....connect......Southwest Online Check in........enter.......Oops! You're too early! You're kidding me...now it's 10:10am. Crap! Might as well head on across town to Lake Mead. Finally about 90 minutes later I checked in again and got my boarding passes.....yeah...you guessed it.....C11 & C12. Maybe it won't be too bad. We got to the volunteer campground and set up in the same site we had last year. We drove down to Southwest Diner, one of our favorites in the area and a Diners, Drive In and Dives location. After a late lunch we returned to the MH and I started cleaning. Our car was really dirty and I spent quite a bit of time vacuuming, wiping and cleaning inside and out. By the time I finished I was pooped! Joan finished up some laundry and we packed our carryons for the flight. We were planning to get up at 6:30, but with the time zone change we both were up by 5am. Oh Yeah! No wonder the online check in didn't work.....the PC and phone were still showing Mountain time zone, not Vegas' Pacific zone. Our flight to Florida was uneventful though we sat on the last row with a young mother and her 18-month old son sitting in the window seat next to us. Our friends Jim and Debbie picked us up at the airport and after eating supper and catching up with them we turned in early. And we woke up early.....what time is it? Who can tell anymore. We are in the Eastern time zone, our 3rd different time zone in less than 48 hours and our bodies are very confused. Over the next week we spent a lot of time with my mom & dad. Dad is still recovering from his stroke earlier this year. For the foreseeable future he is going to be staying in a care facility. He is healthy and looks much better than when we saw him in April. He cannot use his right arm or leg and his communication is poor. He's starting to say words, but is having a hard time using them properly to communicate. He recognizes visitors, and his sense of humor is intact as he laughs at and reacts to our jokes. He even jokes with us some time. 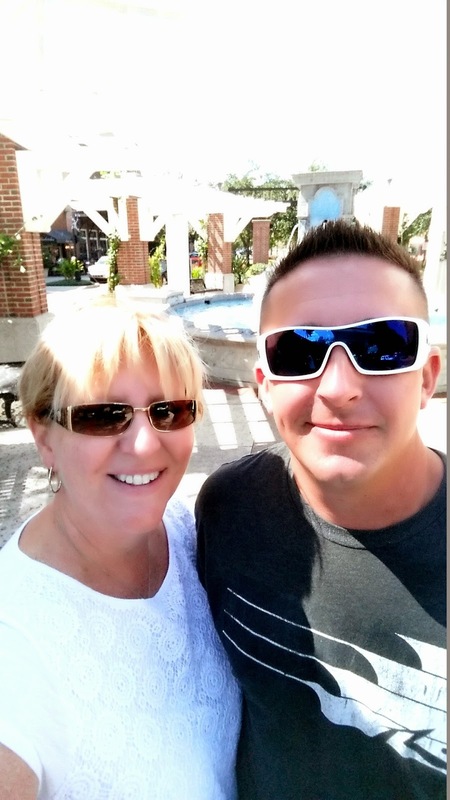 My sister and I helped mom with several things that needed to be taken care of such as changes to my parents joint assets. We made several trips to banks, lawyers and vehicle registration offices. Hopefully we have everything in place now so that my mom can focus on spending time with dad. We also celebrated my dad's 81st Birthday. 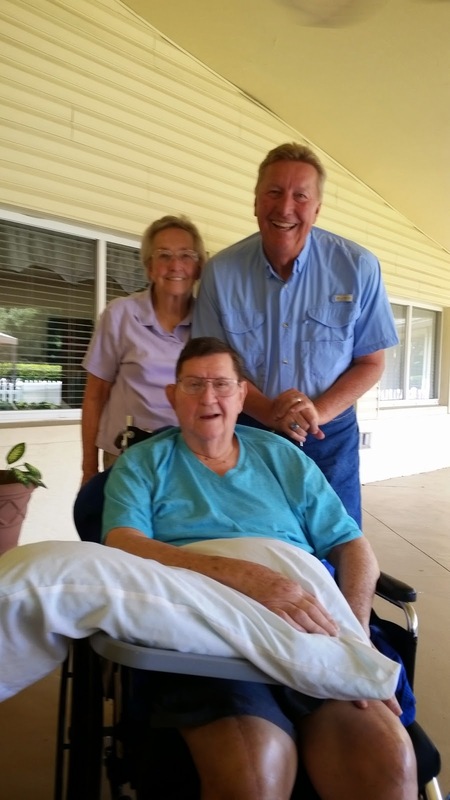 We had about 20 friends and family stop by the care facility to visit with dad and he got to enjoy some birthday cake. 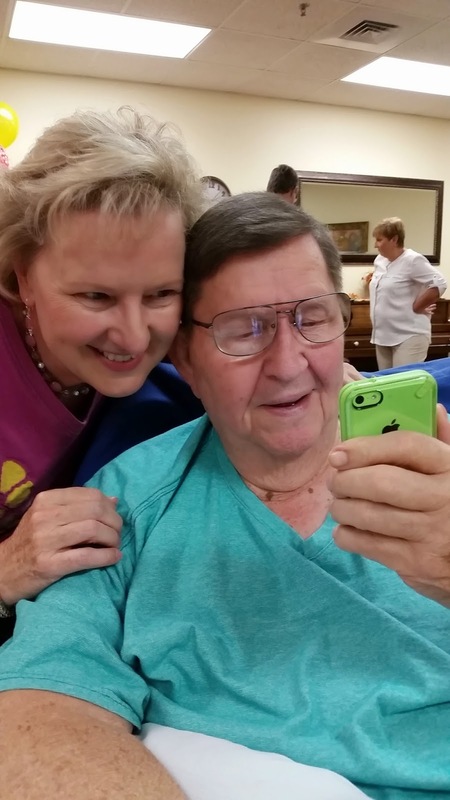 Here's dad & my sister 'FaceTiming' with my son during the party. Joan also got to catch up with her family. 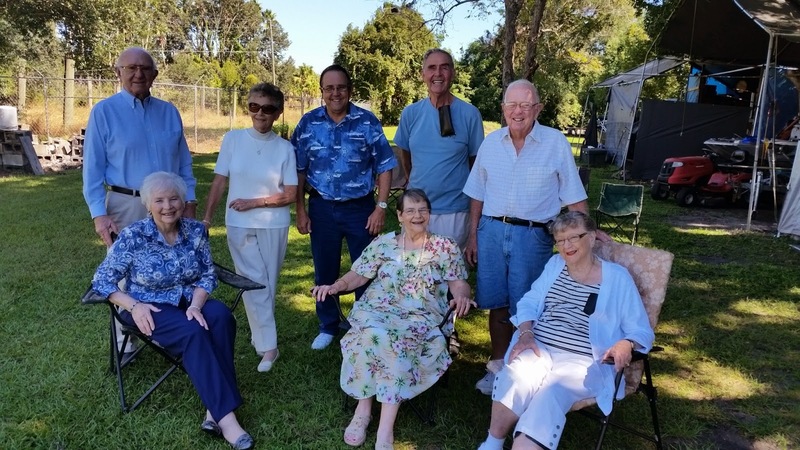 She visited with her dad and 5 of his 6 brothers and sisters. She saw all 4 of her siblings that live in central Florida and most of her nieces and nephews. 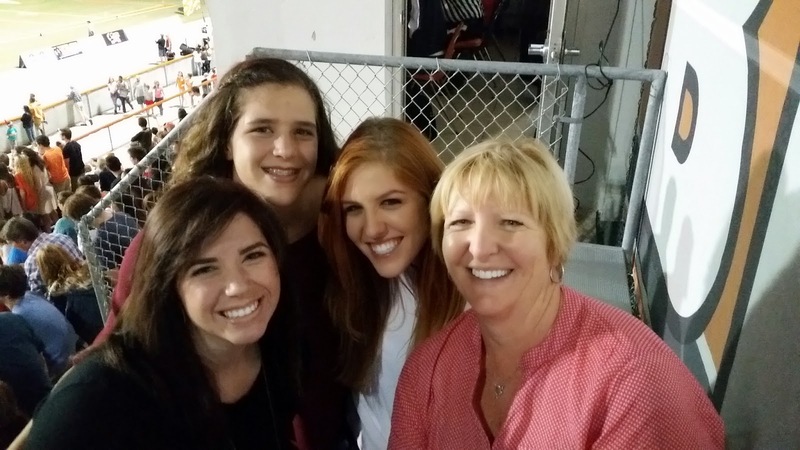 We attended a neice's high school volleyball game and nephew's football homecoming. 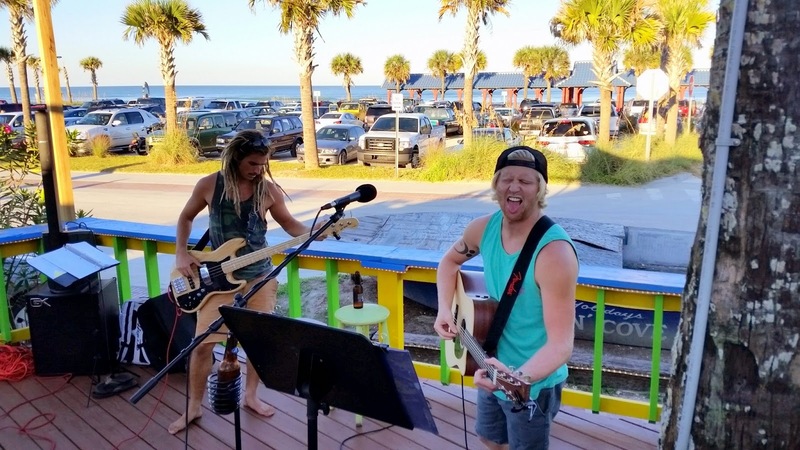 We even drove over to New Smyrna Beach to listen to another of Joan's nephews perform at a local beach side restaurant/bar. 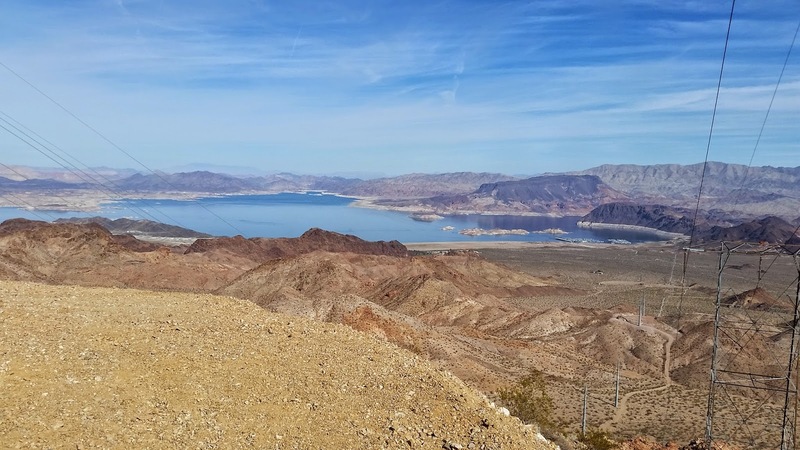 We flew back to Boulder City on Tuesday and started our volunteer positions on Wednesday when we had occasion to drive to the top of the River Mountains and enjoy a spectacular view of Lake Mead and the Boulder Beach marina and campground. Along the way we also repaired a few signs and worked on getting acclimated to the Pacific time zone and unusually warm desert temps. Saturday morning I drove into Henderson to meet up with the LVSSA Raiders, a 60's tournament softball team that I picked up with earlier this year in February. I'm going to be playing some tournaments with them while we're in Nevada, with our first being next weekend in Bull Head City. So we're settling in for another winter; excited about Road Monitoring again; and I'm happy I'll be playing a little bit more ball and staying in better shape. 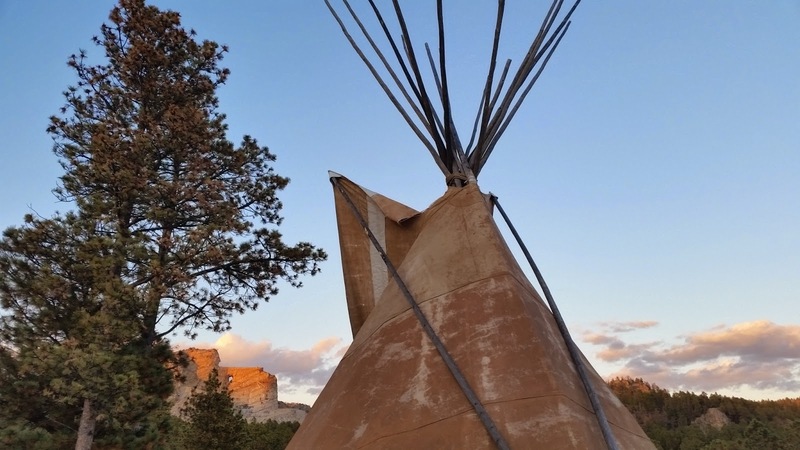 We've reconnected with several of our co-workers and volunteers from last season and we're expecting Christine and Herb from Crazy Horse to show up within the next few days. 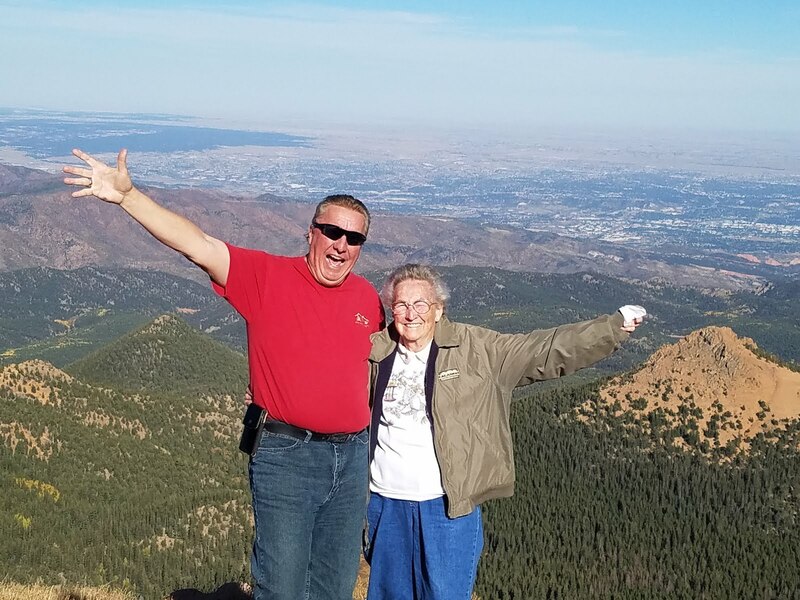 Joan and I completed our job at Crazy Horse on Friday 9/26 and we both had a really great summer. 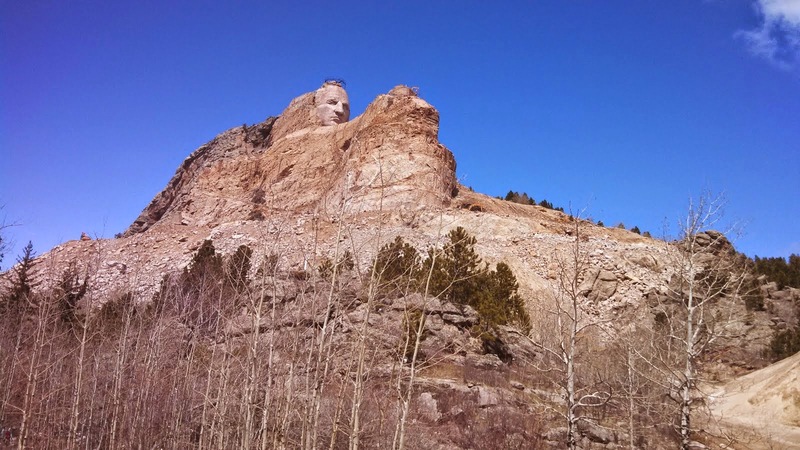 If you weren't aware we spent the last 5 months in the Black Hills of South Dakota and would thoroughly recommend Crazy Horse as a workamping destination. This was our 3rd year living full time in our MH and we are so glad we made the decision to explore this type of lifestyle. 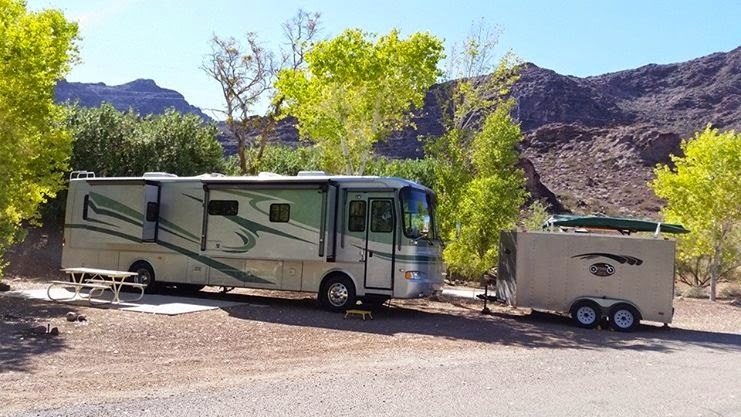 From the 1st summer in Mt Hood National Forest, the short stint at Amazon in Nevada, the 2nd summer in central Colorado, this year in South Dakota and the 2 winters at Lake Mead we have had a wonderful experience and seen so many things that have surprised and amazed us. We have met interesting and entertaining people and we have made lots of new friends along the way. We have no doubt that there are many more surprising places to visit, sites to see and people to meet. Many friends and family members have asked how long we intend to do this....and our answer has remained the same....as long as it remains fun! No sign of that stopping anytime soon. When we left South Dakota we had a little over a week to commute to southern Utah. 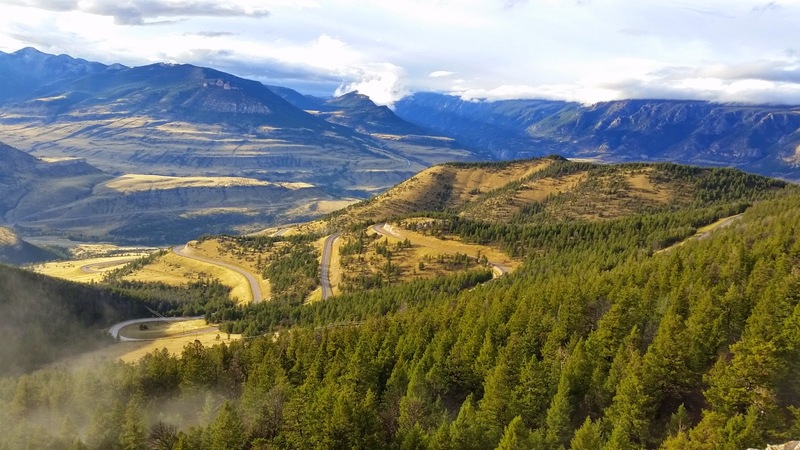 Our route took us first to Cody Wyoming. 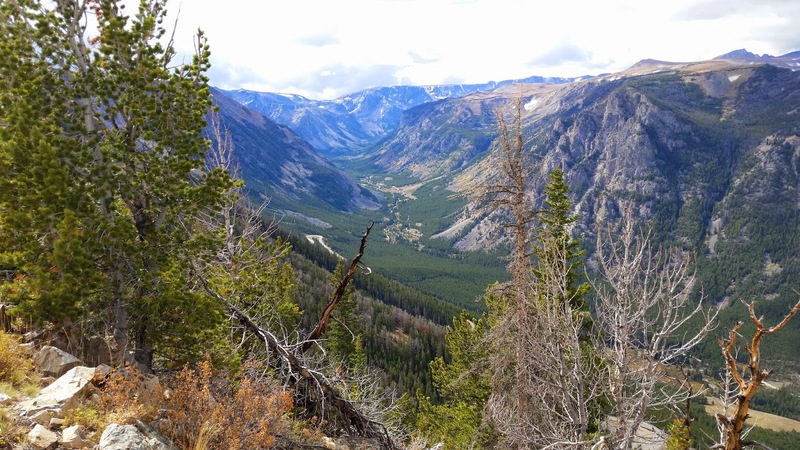 We spent a couple of days there checking out Yellowstone, Beartooth Highway and Chief Joseph Scenic Highway. Add those last 2 highways to your motorcycling bucket list....they are spectacular. 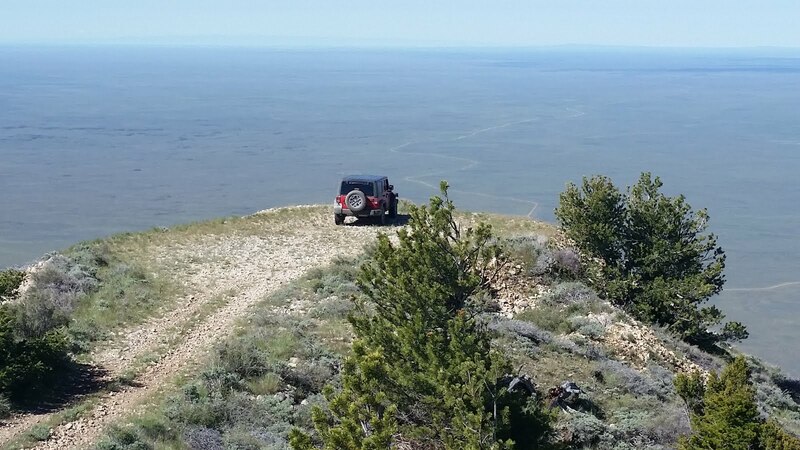 We then continued our way south spending nights in Rock Springs Wyoming and Vernal Utah. 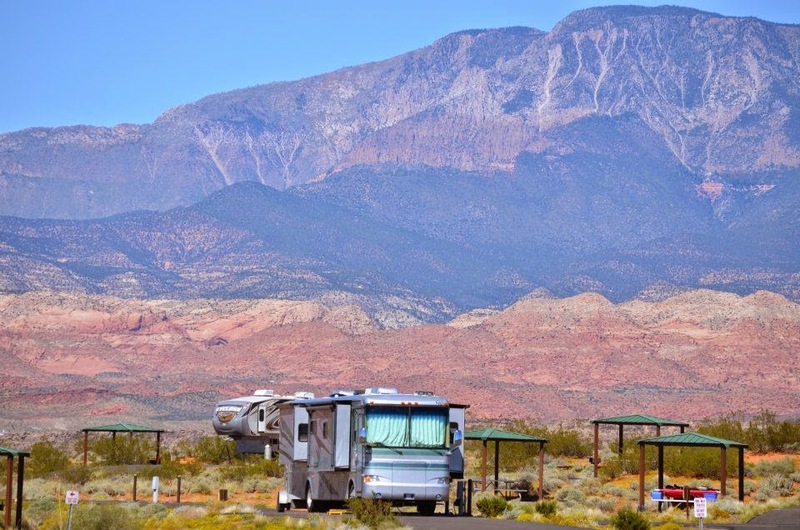 We parked the MH and spent several hours driving the car in and around Flaming Gorge National Recreation Area. 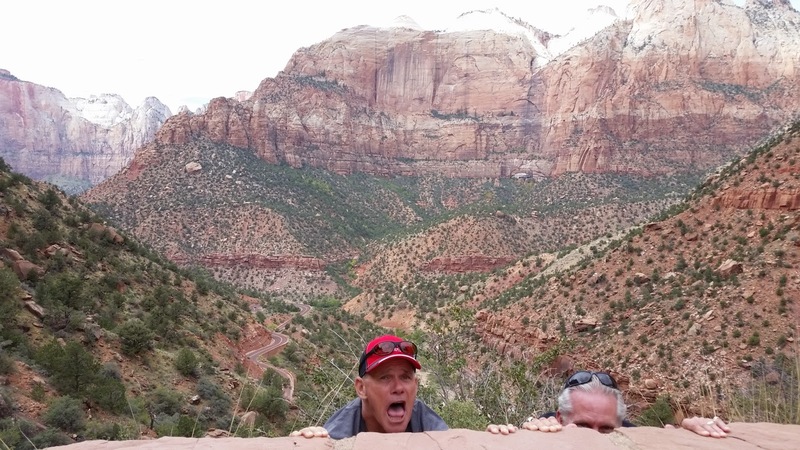 We arrived in Hurricane Utah on Thursday and spent Friday just chillin' and driving the jeep across Kolob Terrace Road from Virgin to Cedar City. It was a beautiful drive with lots of fall color. 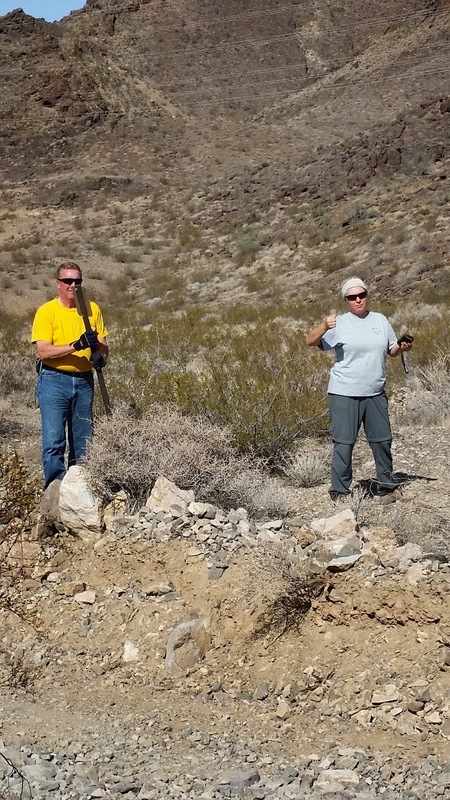 On Saturday we jumped in the car and headed south towards Mesquite Nevada where I was meeting my softball buddies from Florida to play in the 1st of 2 tournaments. I've got to admit I was a little apprehensive as I hadn't had a chance to play softball since I finished playing on 2 teams last August in Colorado. We played 5 games over the weekend and went 3-2 to finish 2nd. 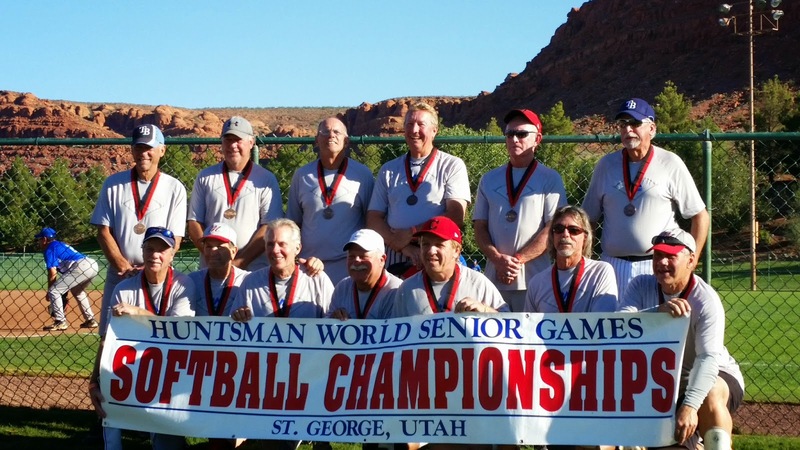 On Monday we started the seeding games for the Huntsman Senior Olympics held in St George Utah. We played 2 Monday, 1 Tuesday, 1 Wednesday, 2 Thursday and went into the medal round on Friday where we played 1 and finished 3rd Overall with a Bronze Medal (4-3). 12 games in 7 days....I'm tired! In our spare time between games we went sightseeing with members of the team. I think everyone had a great time this week and I'm hoping we'll have started a new tradition. Maybe we'll be seeing the guys from Florida make the trip next year to play Huntsman again. Saturday we head to Boulder City Nevada where we'll park the MH, then Sunday we're flying to Florida to visit with the family before we start our winter jobs at Lake Mead. Hope you've enjoyed the pics. Stay Tuned. More to Come.